Posted on November 16, 2018 at 9:19 am. At some point in time, every homeowner has to face some kind of plumbing issue. It could be as small as the clogged drains to as big as the broken pipes. Whatever the case be, our first reaction is to call for help. But there are people who think of dealing with plumbing problems on their own. At first, this may seem a cost-effective choice but the more you delve into solving the problem, the more you realize how difficult it is. Hence, hiring a plumber in Chattanooga, TN should be your first preference whatsoever. Hiring any local plumber in Chattanooga, TN would be of no good. It is significant that you hire a right plumber. Why is it that important? You don’t want to risk the safety of your house and your family by allowing an amateur deal with the complexities of a plumbing system. Only a professional plumber can resolve the plumbing issue for good. Here we focus on important aspects that you must take into account before hiring a plumber in Chattanooga, TN. Look for a plumber in Chattanooga, TN who is well equipped with the knowledge of plumbing and technicalities involved in the field. A potent plumber usually has a diploma in Domestic Plumbing and Heating. If you are looking for a plumber that can handle HVAC issues and pipeline, make sure he has this specialized education. On the other hand, if you are in search of a plumber that can fix your gas line issues, you must ensure that the plumber has a diploma in Domestic Gas Heating. Checking qualifications before hiring a plumber is a crucial step. When a plumber is well-trained and educated in the field of plumbing, chances are he will resolve the specific plumbing issue permanently. After qualifications, the next significant thing to consider when choosing a plumber in Chattanooga, TN is the work experience. Clearly, no one feels at ease letting an ill-experienced plumber handle complex plumbing issues. A plumber with enough work experience would have his skills well polished. Therefore, he will be able to finish all tasks perfectly. 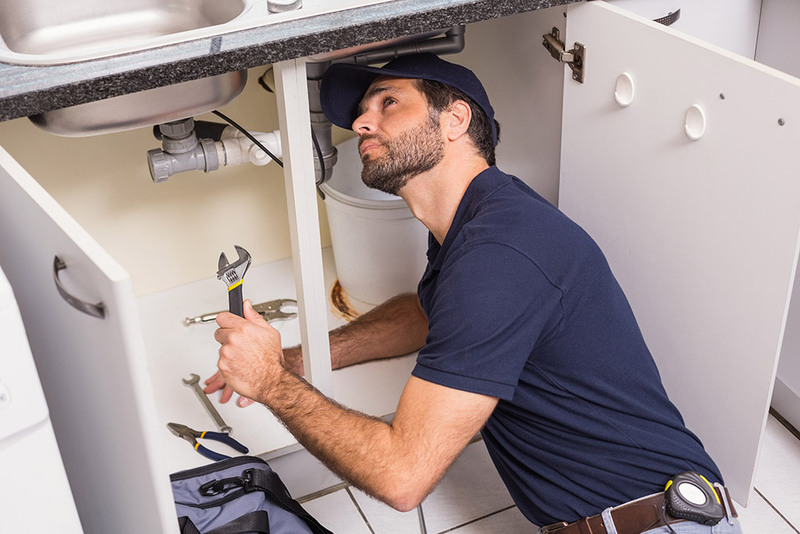 Experienced plumbers have dealt with plumbing issues multiple times that when they would get down solving your plumbing issue, they would be able to do it faster and better. When you are on the lookout for a plumber in Chattanooga, TN, you must take into account the insurance policy offered by that plumber. Having a proper insurance policy would mean that your financial security and interest will be taken care of by the plumbers. One thing that you will need to keep in mind is that plumbing is a risky job. It involves health risks and security issues. This is why insurance is such an important aspect to consider. With a legitimate insurance policy, the workers will have financial coverage and security that will protect them in case any mishap occurs. As a client, insurance is equally important. If any incident occurs, you won’t have to cover any expenses. It will all be covered by the insurance. Due to this, when you choose a plumber in Chattanooga, TN, ensure that you have checked out their insurance policy. A plumber that has certificates and awards to his name speaks volume about his credibility and reputation. If you have a huge plumbing issue at hand, checking a plumber’s certificates and awards would put you at ease, knowing that the plumber is reliable. Another reason why having certificates and awards are significant is because your consumer rights will be protected against thefts or fraud. Different plumbing authorities have different kinds of plumbers. Hence, you will need to check if the plumber has the right certificate. For instance, if you are hiring a plumber to resolve issues related to gas boilers, gas lines, or gas leaks, you will need to check if the plumber is registered with the Gas Safe authorities. There are websites that have lists of certified and authorized plumbers. Before hiring a plumber in Chattanooga, TN, visit the website and check that specific plumber’s certificates and awards. After considering that particular information, make the decision whether it is ideal to hire the plumber or not. Going through testimonials available on the plumbing contractor’s website is also essential. They help you understand the quality of service provided by the specific contractor. In a way, testimonials are a portfolio for contractors as they show what clients have to say about their own experience with the specific plumber’s services. The next time you choose a plumber in Chattanooga, TN, head over to the plumber’s website, and examine the testimonial section to ensure you get to hire the best of the best plumber. It is safer to hire a plumber on the basis of recommendations you have received from multiple people. It is significant to have recommendations because then you can trust the particular plumber’s services. If a family member of yours or a friend you know got the best plumbing services recently. You can ask from them the plumber they hired so that you can also make most of the plumbing services. Recommendations will also help you learn about fraudster that comes in disguise as good plumbers. In this way, your money won’t go down the drain. Hence, getting recommendations for hiring a good plumber in Chattanooga, TN is vital. Once you have gone through all of the procedures mentioned above, the last step that you will need to consider is interviewing the plumber. This will help you assess their knowledge about plumbing. Make sure that you discuss with them about different plumbing issues to check if the plumber is well-informed about the plumbing system. By talking to them, you will also understand the work ethic and personality of the plumber, eventually letting you decide if you will be comfortable to have him working at your home. Are you on the lookout for the best plumber in town? Contact Metro Plumbing, Heat, and Air to get in touch with the team of the most sought-after professionals.